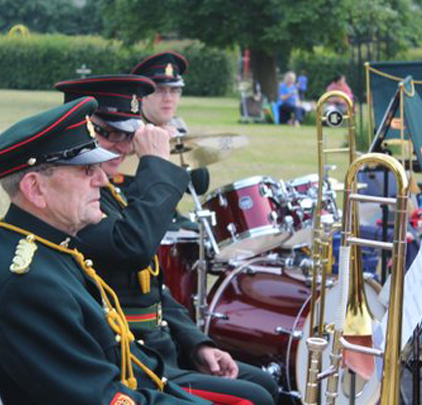 Welcome to The Essex Yeomanry Band, one of the oldest military bands in the country. The band has a huge repertoire of military, classical and light music and gives regular public concerts throughout the year. You can book the band for private engagements and we can help you support a charity event too. We're proud to welcome musicians of a reasonable playing standard ages 16 to 80 – come along and try us out! Find out about the band's history and watch videos of our concerts. Public and private concert engagements and how to book the band for your event. We're looking for new players, click here to find out more.